From a young age, Sandra Capen was motivated to get good grades by her parents—who sacrificed so much to educate their three children that the family sometimes went without food. Throughout grade school Sandra couldn’t eat lunch with her friends or purchase the school supplies that she needed to bring her creative ideas for projects to life. Instead, she swallowed her hunger and made do with what she had, never asking her parents for money. 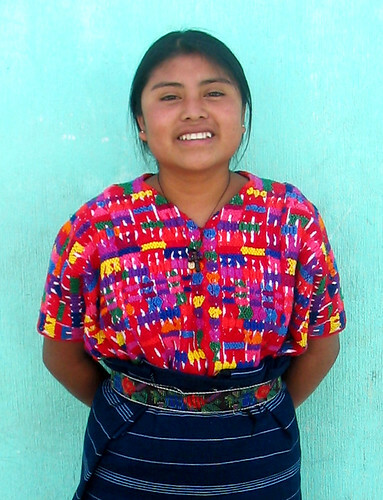 Luckily, during Sandra’s first year of middle school, her fears of dropping out were put to rest by a Rise sponsorship. Recognizing the enormous opportunity she had been given, “I pushed myself even harder,” says Sandra. Every morning she helped her parents in the fields, and every evening she did her homework. She even learned to sew so that she could contribute more to the family’s income. Her siblings were able to continue studying, and through it all, Sandra never failed to turn in an assignment on time. But Sandra did not stop aspiring there. Having arrived at a milestone that only eight out of 100 girls in rural Guatemala ever reach, Sandra kept going. Less than a month after graduation, she found a job as a teacher in a local primary school, began contributing more to her family’s income, and enrolled in weekend classes at a nearby university. By studying through vacations, she was able to graduate with her bachelor’s in science education in three years, instead of the normal four and a half. Now, Sandra is helping the next generation of Rise scholars achieve their dreams—as a Cooperative for Education staff member! As a local facilitator of the Rise Program, Sandra is responsible for running the same workshops and youth development activities that inspired her. 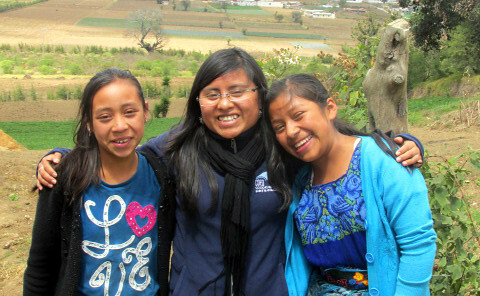 Sandra is working to create a new generation of educated Guatemalans–and you can help!